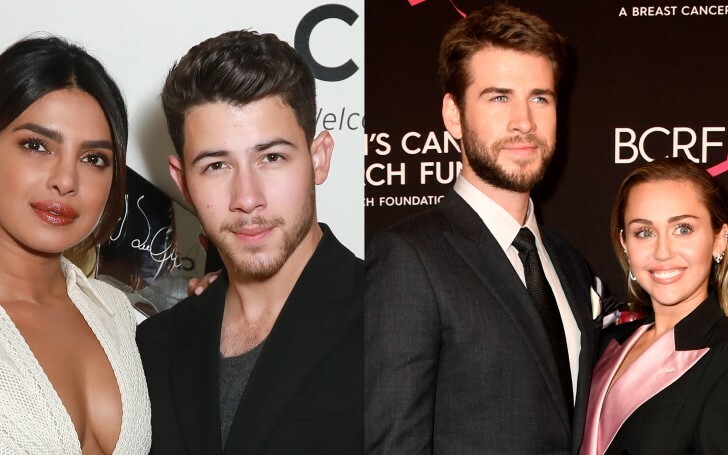 Priyanka Chopra Jonas and husband Nick Jonas would like to go on a double date with Miley Cyrus and Liam Hemsworth. On Thursday, Priyanka Chopra Jonas appeared as a celebrity guest on the live talk show called Watch What Happens with Andy Cohen where the sensational star revealed she would like to go on a double date with Nick's ex Miley Cyrus and Liam Hemsworth. The ‘Quantico’ actress met Miley, 26 after she starred with Liam in the comedy movie ‘Isn’t It Romantic’, which premiered in February. Don't miss: Priyanka Chopra Rumoured To Be Pregnant; Any Truth To It? At the premiere last month, Miley attended in place of Liam who was home recovering from being hospitalized. Cyrus and Jonas broke up more than a decade ago and are good friends since then. They've both moved on and married their partners, Chopra Jonas and Hemsworth, in December 2018. In early December 2018, Jonas tied the knot with Chopra Jonas during two elaborate ceremonies which took place in India. They had a Christian ceremony for Jonas' faith and a Hindu one for Chopra's religion while, Cyrus and Hemsworth exchanged vows during a low-key ceremony which took place in Tennessee on December 23, 2018.